By default, the recorder records the absolute coordinates of the cursor (i.e. The coordinates are relative to the top left corner of the screen). When the window is reopened, the window position is changed or the screen resolution is changed, even the operating system is changed, this can result in some errors during playback again, because the absolute coordinates of the window were changed also. 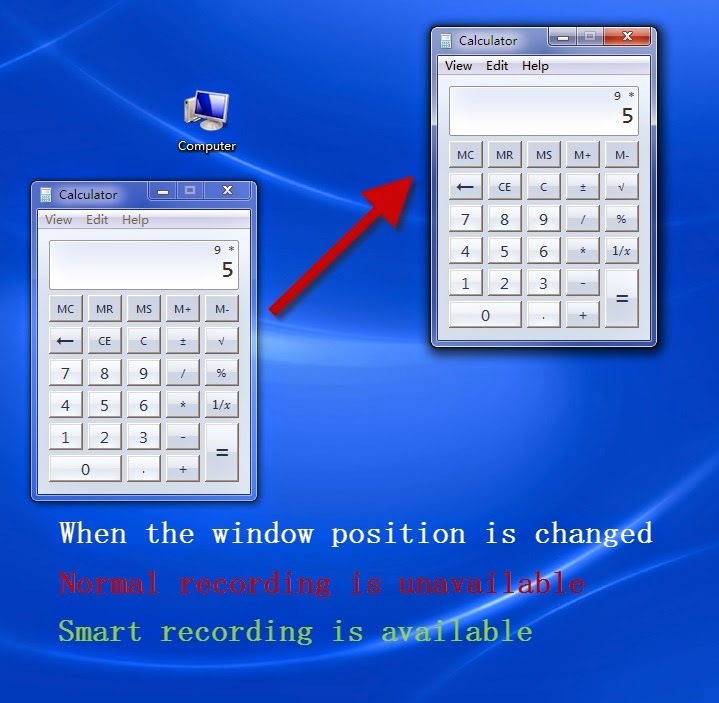 When replaying actions recorded by smart recording, Axife Mouse Recorder will automatically find the target window, and lock on the window to operate in relative coordinates, so as to effectively avoid misbehavior.